Seb1 needed a new logo design and created a contest on 99designs. A winner was selected from 43 designs submitted by 12 freelance designers. We are French and are currently putting a new version of our website: Nintendo Master, from the company WeeBe. It's a community about Nintendo and their News. Our audience is predominantly young boys (between 12 and 25 years). Sub-title : Vivez toute l'actualité Nintendo ! We are currently conducting a new version of our website. The survey design is attached to this contest, and the corresponding PSD, if necessary. Our goal: to improve the website's logo, and do something that integrates better with this design, highlighting one or two aspects (without using official artwork, creations only): Nintendo, community, news, .... The logo should be absolutely dominated red (the same red as that used for the current logo, Attached to this contest). The logo should be the focal point of design. If you have no idea for the logo, take on the current model, and make it more "Web 2.0" and compatible with the design. In addition to the logo, I would appreciate a creation in the background: behind the logo and on his right (to fill the empty space to the right of the logo). 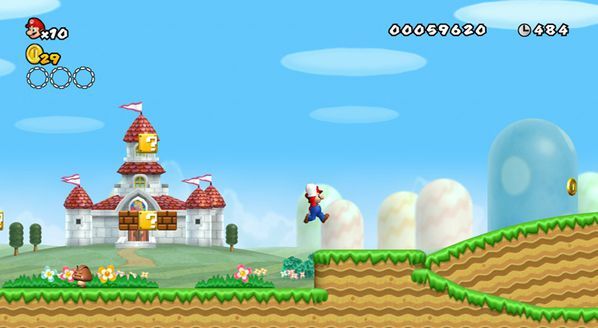 This setting may represent the Nintendo universe, as in this image: http://www.nintendo-master.com/vf/i…s/top2.png (mario castle, landscape, etc., wholesale and behind the logo / on his right, your creation! web 2.0 style, etc.). Important notice : I don't want a banner ! But elements of Nintendo universe witch are disposed behind the logo and arround, to improve the design :-). Other idea : The creation (the universe of Nintendo graphics) can be rounded if you prefer : to be behind the logo, go to his left and right. > Only a few elements : Peach Castle ?, rounded mountains that are behind the logo? (This is just an idea), cloud ?, one or two blocks ? etc :).